Designers Hilden & Diaz have unveiled a unique line of chandeliers that create a truly magical atmosphere. The collection was inspired by drawings made by German biologist and naturalist Ernst Haeckel. 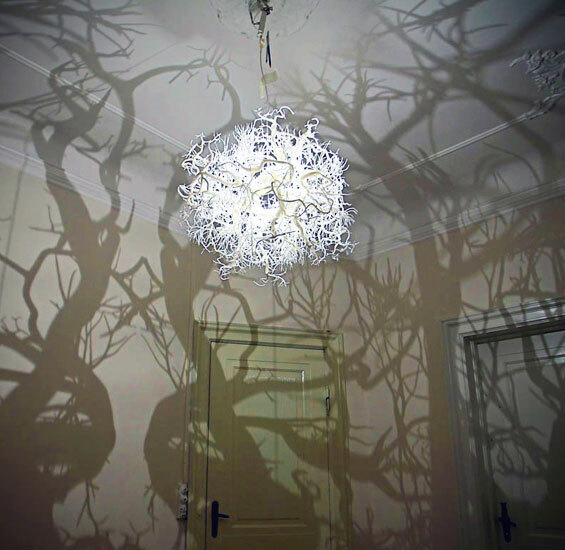 It creates the illusion of entangled roots, bushes and tree branches in 360° fashion when the lights are shut off. 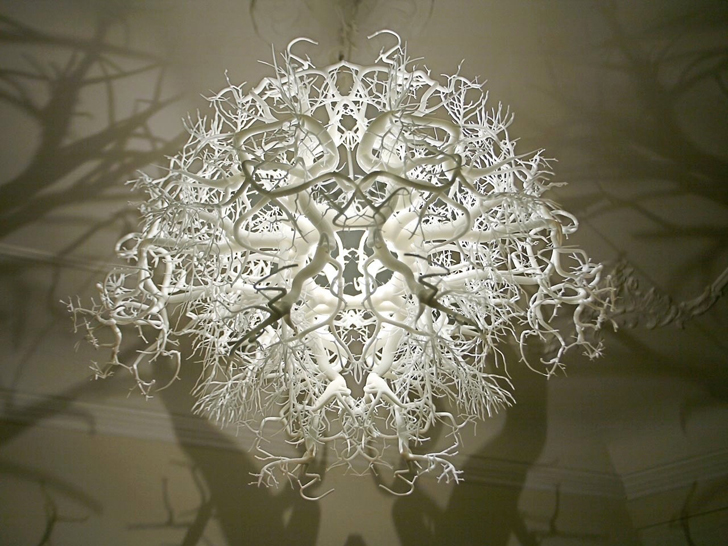 The designers mirrored the forest-like sculpture around its horizontal and central axis to form a full circle around the light source, creating Rorschach-like patterns to stir up one’s imagination. 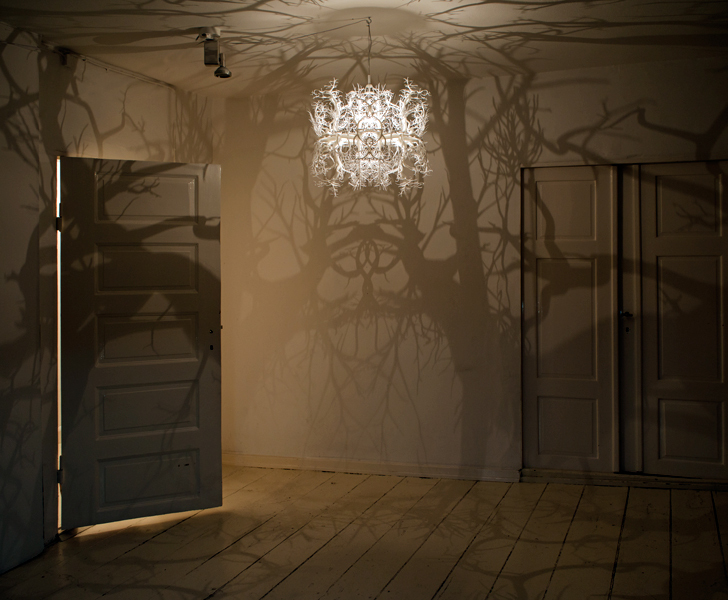 Besides the shape of the chandelier, light intensity also affects the overall atmosphere – when the light is dimmed the chandelier creates an image of a weak fire burning in the forest. It is left to a person’s imagination to read the over-sized shadows as a forest gently lit by the flickering camp fire, or a terrifying underworld filled with monsters lurking behind the roots and bushes.